Florida Marine Construction, Inc. has been in operation since 1989, under the ownership of Charlie Garcia. From humble beginnings operating a single small wood barge, Charlie has built the business to deliver marina development and construction, coastal erosion jetties to exceptionally crafted residential marine docking facilities. Florida Marine Construction, Inc. provides maritime services to the State and Local Governments, land development companies, and H.O.A. sectors. Our business is based on our marine construction expertise and local knowledge, backed up with a focus on safety and quality, and high concern for the marine and coastal environments. We have consistently delivered projects within scope, cost and time requirements, and added value to our clients through our relationship focused approach. Let us handle your next marine construction project! We have an in-house team that manages and supervises the delivery of all our services. Our management team is backed up by a support team, professional service firms and environmental permitting consultants. Our construction and maintenance crews bring extensive experience in fabrication, installation and maintenance of marine assets across the Lee and Collier County regions, as well as knowledge of local conditions, risks and constraints. If you desire durable and finely planned marine structure, we hope you shall measure the quality of Florida Marine Construction, Inc.
We highly recommend Florida Marine Construction. We had priced out several companies and Charlie Garcia was very professional and his proposal far exceeded the competition. Their company was not the lowest quote we received but they came highly recommended. The crew members are excellent, they showed up every day and worked long days for our new dock and boat lift. Charlie Garcia was a pleasure to work with, his crew was hardworking and completed a perfect marina renovation for our community and residents. Florida Marine Construction and Charlie Garcia delivered us a completed marina project beyond our expectations. Their knowledge of the industry and its intricacies, saved us thousands of dollars. 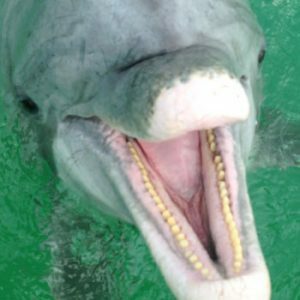 We would recommend anyone considering constructing a new marina in Southwest Florida to contact them first. Florida Marine Construction completed a complex project for my wife and I. Charlie spent precious time with us to configure our docks and lifts at our new home. He designed a dock and lifts to accommodate our 50- foot boat and our 26- foot center console all on a 80 foot lot. They are great people and we would recommend them to anyone. 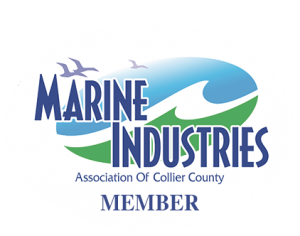 We have selected Florida Marine Construction as our go to marine contractor. As a custom home builder in Naples, it is important to have a contractor who shares our values. The quality of work is superb and we never have to watch over them. I would strongly recommend contacting them if you are considering building a dock or seawall.